You can preview the way a course will behave when a learner interacts with it, as well as toggle between edit and preview mode. The Back to My Learning and Publish options are disabled in preview mode. Note: Some features may be restricted based on permissions for your role. In the Author menu, click the Courses link. 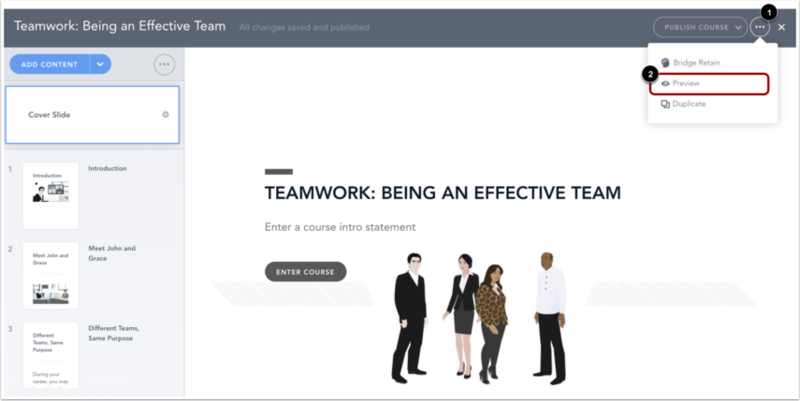 To preview a course from the course details page, click the Preview icon. Preview the course. To edit the course, click the Edit icon . To return to the course details page, click the Preview icon . To preview what the course will look like on a tablet, click the Tablet icon. 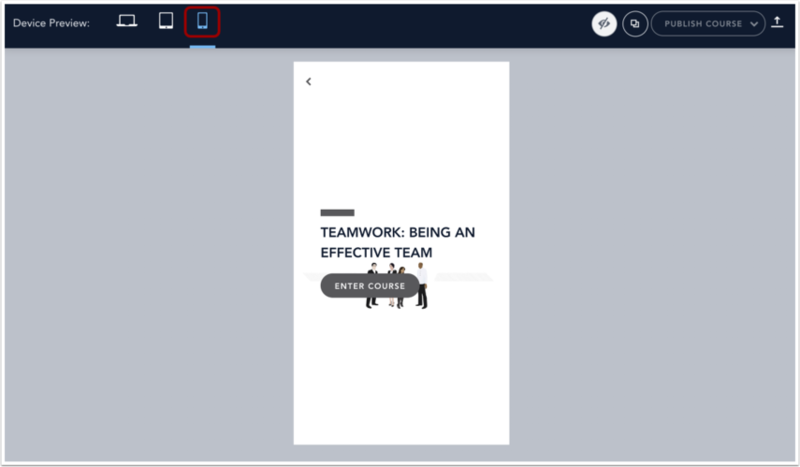 To preview what the course will look like on a phone, click the Phone icon. To preview a course from the course editor, click the Edit icon. To preview a course, click the More Actions button , then click the Preview link . 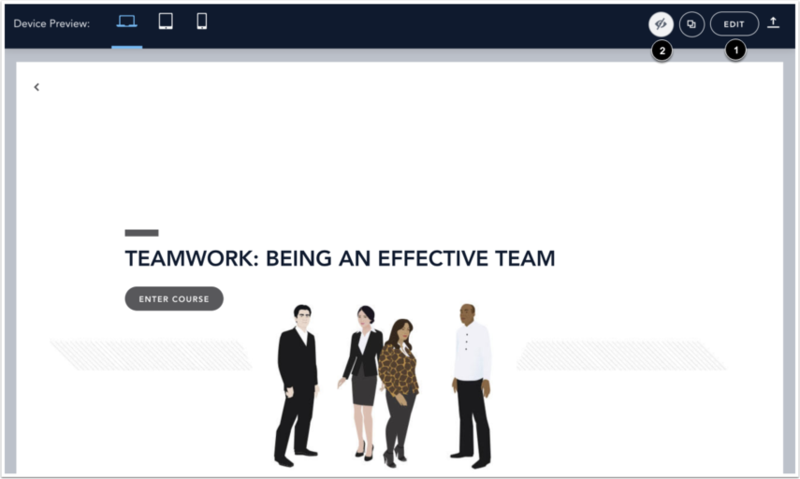 In preview mode, you can view the course as if you were the learner interacting with and taking the course. In the header, you can view the dimensions for a selected device. Desktop preview is selected by default . 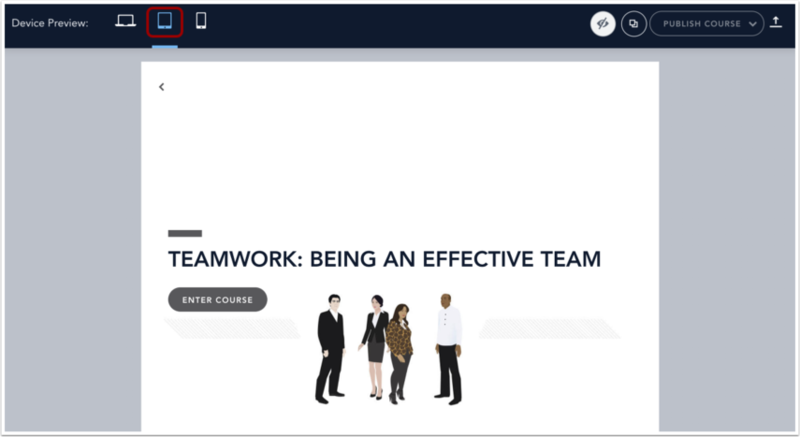 Click the Tablet  or Phone  icon to preview the course on a different device. To leave preview mode and return to the content editor, click the Toggle Preview icon . To duplicate the course, click the Duplicate icon . To show or hide the header, click the Show/Hide icon . Note: The Back to My Learning and Publish options are disabled in preview mode. Previous Topic:How do I archive a course? Next Topic:How do I use the Checkpoints page? Table of Contents > Manage Courses > How do I preview a course? How do I use the Checkpoints page?